Added <give> signs to give Elytra or Ender Pearls to players (write the item on the second line and "give" or "take" on the third line). Added the "/cpd <map ID or URL>" command, it works like "/cp download", but it is faster to write! Also, the map URL (on creativeparkour.net) can now be used instead of the map ID (example: creativeparkour.net/map.php?id=1). Added "/cp export" to create files containing a map data. 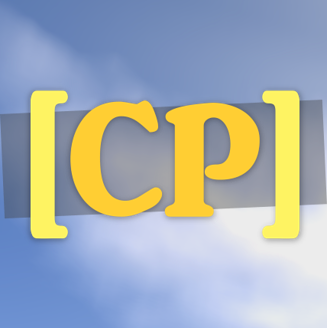 Maps can be imported by placing the file in "<your_server>/plugins/CreativeParkour/Automatically import maps", they will be imported when someone types "/cp play". Added "/cp removetime <player>" to reset player's time in a map. Use "/cp removetime <player> all" to reset it in all the maps. Beta testing feature: the real WorldEdit wand can be used during map creation. Add "enable beta worldedit: true" in the "map creation" section in configuration.yml. Available commands are wand, toggleeditwand, pos1, pos2, set, undo, redo, replace, hollow, center, naturalize, walls, faces, smooth. Please help me making this feature better by testing it, especially its security (if players can change blocks outside of their maps for example). Added the "creativeparkour.infinite map number" permission and "map creation.maps per player limit" in configuration.yml: you can set a maximum number of maps that players who do not have the infinite map number permission can build. When they reach the number you set in the configuration, they will no longer be able to build parkour maps, except if you give them the infinite map number permission. It can be used as a donation perk: players can create a limited number of maps until they donate. Of course, everyone have an infinite number of maps by default. Added "milliseconds difference" in configuration.yml, it is an integer value that corresponds to the number of milliseconds that are tolerated between the time in ticks and the real time that a players takes to complete a parkour. If the difference is higher than the value you set, the time will not be saved. Set to 0 to disable. This can be useful to prevent the plugin from saving incorrect times when the server is laggy (with a bad TPS). Added "freeze redstone" in configuration.yml to enable or disable redstone disabling when nobody is in a parkour map (this is experimental, don't forget to provide feedback!). Reduced CPU usage of the redstone disabling feature. Players' inventories are restored a few ticks after the teleport when they leave maps, consequently this is done after the other plugins (for example, if a plugin deletes the inventory on world change, the player will get it back anyway). Added "game.inventory recovery world exclusions" in configuration.yml. It is a list of world names: when players leave CreativeParkour when teleporting to one of these worlds (by using a command like /home for example), their inventory is not recovered (and lost). The list is empty by default. This can be used to prevent players to recover their survival inventory when they directly teleport to the creative world for example. Added "spectate" alias for "/cp spectator" because I never remember the right command.